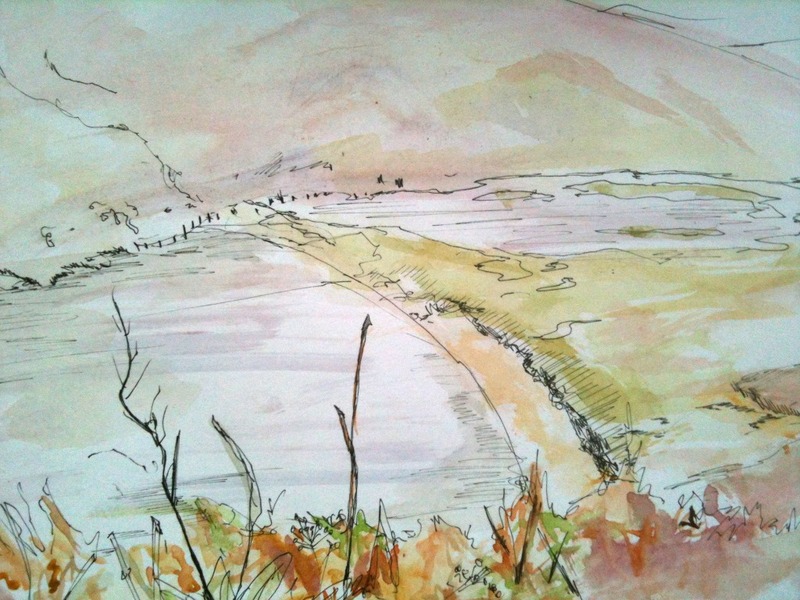 This entry was tagged beach, black ink, crunch, drawing, estuary, Heather, Illustration, landscape, mountain, nature, Orkney, Pencil, rustle, walking boots, water, watercolour, weather. Bookmark the permalink. “Estuary! . . . I live in a houseboat on an . . . . Estuary! You are a very bad influence in my life. However I do like the picture. You manage to convey depth and distance in you art in a way that I have never been able to grasp (goes off in a jealous green haze). I fear that I am now going to have to go and watch that bloody video . . .
Oh my goodness…I just love your drawings on paper!! So expressive!